Pvt. Jim Edd Mason, son of Mr. and Mrs. Press Mason, attended school in Davidson. 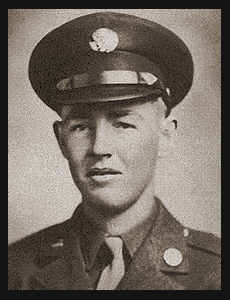 Entered Army in Jan. 1943, trained in Ft. Custer, Mich., Camp Shanks, N. Y., Camp Livingston, La. adn Ft. Meade, Md. ; went overseas in March, 1945, served in England, Scotland, France and Germany; was killed in action in April 1945 in Germany. Awarded Good Conduct Medal.